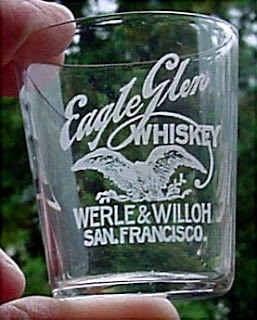 The only Eagle Glens that I have dug were the Werle and Willoh examples. 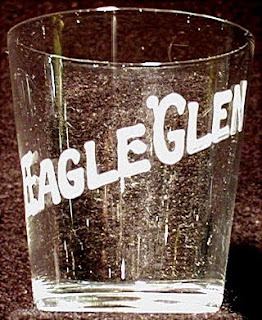 I did have an Eagle Glen shot glass like the center one in your photos, except that it was done in beautiful red, white and blue enamel. The collector who I sold it to has recently passed away and I haven't asked about the glasses. 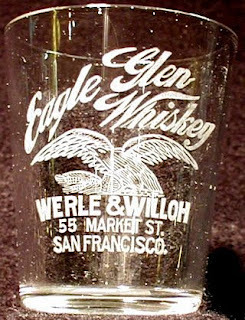 Years ago, while Ken Salazar and I were digging in Mother Load town,I walked across the street to look at a small flea market and saw a shot glass on a table. It was a Tea Cup shot with tea cup on it and priced at $7. 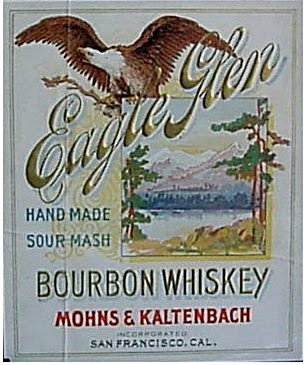 I asked the proprietor if she had any more of them and she produced a box with over 20 shots in it. 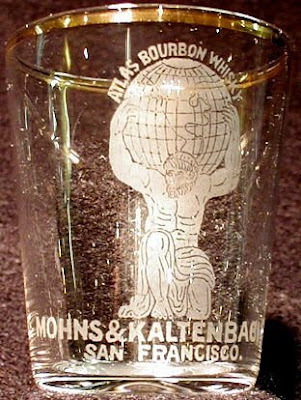 EVERY picture and animal shot glass was in there, many in colored enamel. It was unbelievable. Neither Ken, or myself had enough cash on us to buy them all, so I ran over to a friend's bar and borrowed enough to quickly get them all. That will never happen again.